“YOGA” is an ancient Sanskrit word which, in only two syllables, encompasses the entire body of spiritual experiences and experiments of tens of thousands of Realised Masters. These Masters have discovered the Ultimate Reality, Sat, and in their infinite compassion, have carefully marked a path for others to follow. Of these great saints and sadhus, Bengal and especially its capital city Kolkata have been fortunate enough to house some of the gems in the treasure chest of Indian spirituality. Dividing the timeline into ancient, old and modern categories, the Vedas, Upanishads, Bhagavad Gita and other important documents belong the two latter time periods and most of the work cannot be traced down to a single person or region. The modern era that goes back around 200 years from the present has seen immense growth and influential spiritual leaders in Eastern India. In fact, influences of spirituality from Bengal have reached the West coast into the USA where the first teachings of yogic wisdom were taught by Swami Vivekananda. Let’s go back in time and recount the contributions given to us by prolific leaders who emerged from the streets of Kolkata and travelled worldwide carrying their message of love and spiritual awakening. The Masters of the first period of Modern Yoga, Sri Ramakrishna, and his disciple Swami Vivekananda and Ramana Maharishi were very much in the Vedantic, Advaitic tradition of Adi Sankara and did not put much emphasis on Asana, Pranayama or other Yogic practices. Between 1983 to 1920, these men started the spiritual revolution in Bengal which was taken forward by eminent Rishis and worthy predecessors. Ramana Maharshi, the Sage of Arunachala was a firm example of Yoga through inquiry using the Upanishadic device of “Who am I?” Sri Ramakrishna Paramhansa was a Bhakti drenched devotee of goddess Kali and his student Swami Vivekananda was a powerful writer, orator and charismatic leader, who advocated selfless service, meditation and logical inquiry. Out of this beautiful guru-shishya relationship, emerged ‘The Ramakrishna Mission’ which propagated the upliftment of the masses and the introduction of Indian philosophies of Vedanta and Yoga to the Western world. 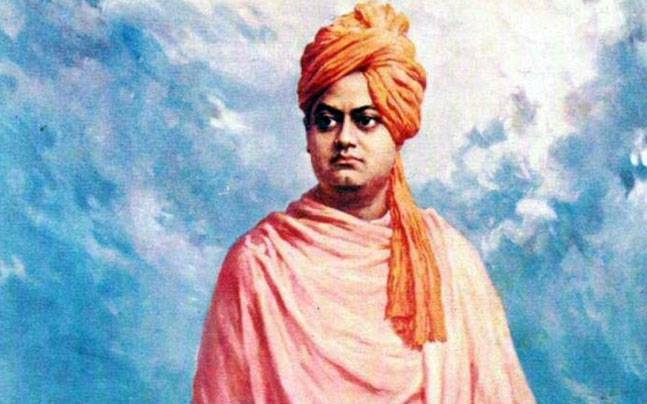 The birthday of this great spiritual personality is celebrated as the National Youth Day in India. Aurobindo Ghose, better known as Sri Aurobindo is known to the entire world as a great scholar, a national leader and a spiritual guru. He was born in Kolkata where the seeds of spirituality had taken root in his spirit. Some powerful visions backed by spiritualism encouraged him to move to Pondicherry where he worked on human evolution through spiritual activities such as ‘Integral Yoga’. He was nominated for the Nobel Prize in Literature (1943) and Nobel Prize for Peace (1950) for his innumerable contributions in the field of poetry, spiritualism and philosophical literature. Lahiri Mahasaya was a Bengali mystic, who was the Guru of Yukteshwar, the Guru of Swami Yogananda. 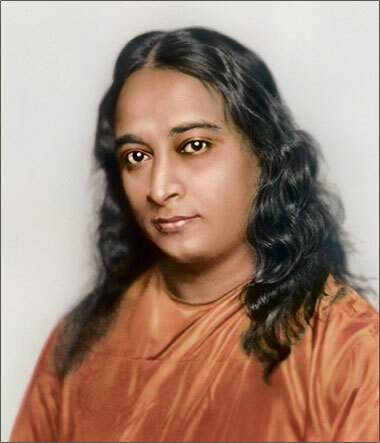 The great yogi Paramahansa Yogananda is regarded as one of the foremost spiritual figures of modern times. Native to India, this guru emigrated to the U.S. where he taught and practiced spirituality for over three decades. His life story, ‘Autobiography of a Yogi’ was published in 1946. He described his quest for spiritual enlightenment and his meetings with several notable spiritual figures like Mahatma Gandhi, Rabindranath Tagore, Jagadish Chandra Bose and C.V. Raman in the book. He founded the spiritual organization, Self-Realization Fellowship (SRF) which was incorporated as a non-profit religious organization and is still a household name in every Kolkatan home. Lahiri Mahasaya was the brother disciple of Ram Gopal Majumdhar, who later became known as Swami Kanakananda. Swami Kanakananda was the custodian of a great body of Bengali Tantric teachings. Though widely known for his Siddhis and the ability to go without sleep which earned him the epithet of the “Sleepless Saint”. Swami Kanakananda was also a master of an intricate system of Hatha Yoga, Kriyas, Mudras, Pranayamas and an elaborate system of Chakric concentration and meditation. He was also an expert in the Yantra, the Science of Number, Name and Form. Srila Prabhupada was an Indian spiritual teacher who founded the International Society for Krishna Consciousness (ISKCON). The society which he initially struggled to establish soon became a fast-growing spiritual movement and today is a worldwide confederation of more than 550 centers, including 60 farm communities, 50 schools and 90 restaurants. Born in Kolkata and later travelling abroad for transmission of his beautiful message, he is the pioneer of Bhakti Yoga and has brought peace, happiness and devotion into every human heart he managed to touch. His centers, temples and teachings are still an eminent aspect of Bengali spirituality and culture. Blessed Teresa of Calcutta, known the world over as Mother Teresa, was an Albanian-born Indian citizen who abided by her religious faith of Roman Catholicism to serve the unwanted, unloved and uncared people of the world. One of the greatest humanitarians of the 20th century, she led all her life serving the poorest of the poor. In 1979, Mother Teresa was awarded the Nobel Peace Prize and she founded the Missionaries of Charity in Kolkata that still strives to work towards her vision of love and care for every being in existence. Kolkata has seen many such beautiful souls that have made its streets, corners and fields into the land of the enlightened. The city brims with temples, mosques, churches, meditation centers and charitable organizations that carry forward the legacy of spiritual teachings that developed not many years ago. Apart from the heritage given to Kolkata by spiritual giants, the city sees Yoga studios, modern meditation chambers and young minds brimming with spiritual curiosity. ‘Mystic Yoga’, ‘Real Yoga’, ‘Temple of Yoga’ and ‘World Yoga Society’ are some of the newer sources of yogic teachings that function on the principles of traditional yogic wisdom with a modern twist. It is quite evident that though the world is moving too fast for liking, Kolkata is still drenched in its yogic history that truly makes it the ‘City of Joy’.